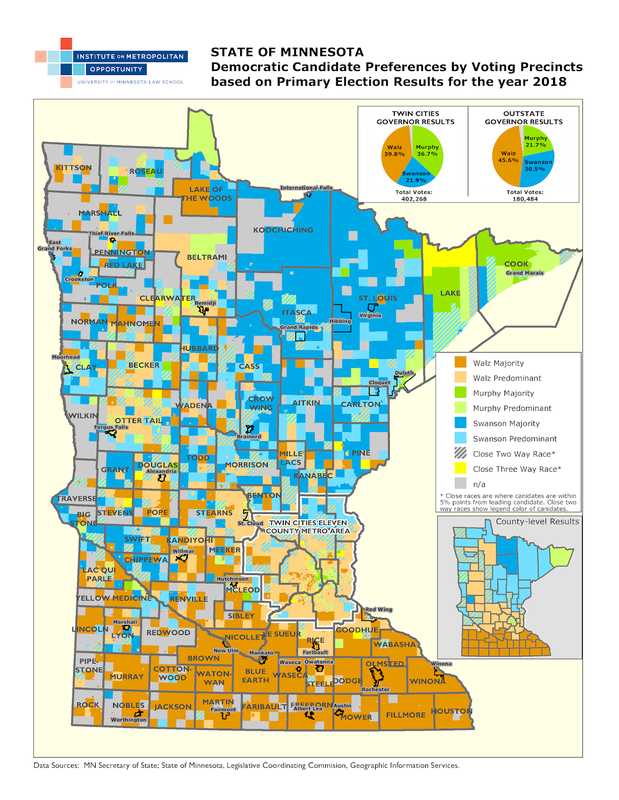 Minnesota's gubernatorial primary was held last Tuesday, August 14th, and clear geographic trends appeared in the voting patterns. The Institute on Metropolitan mapped the outcome of both the Republican and Democratic contests. 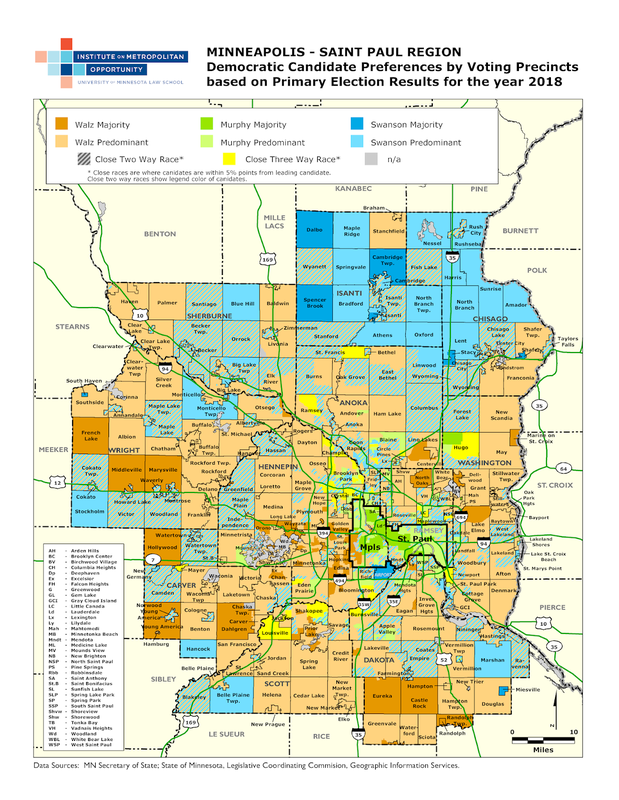 The maps can be found below, along with a close-in version of the Twin Cities 11-county metropolitan area. Click the images to zoom. Downloadable PDFs of the maps can also be found here. In the Democratic primary, each candidate performed well in relatively well-defined areas that correspond with previous political exposure. In southern Minnesota, the site of Walz's congressional district, his ticket won resoundingly. 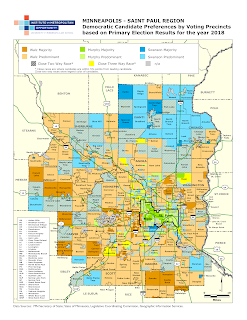 Murphy performed best in the central cities of Minneapolis and Saint Paul - especially Saint Paul, the site of her state legislative district. 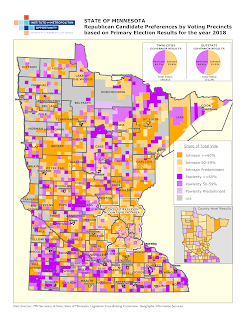 And Swanson dominated in northern Minnesota, where her running mate Rick Nolan is the current congressman. 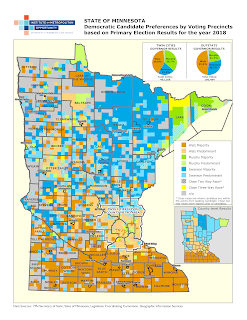 The vast majority of Democratic primary votes - over 400,000 - were cast in the Twin Cities metropolitan area, where Walz and Murphy ran neck in neck. Only about 180,000 Democratic votes were cast in the rest of the state. Among those, Walz won a large plurality and Murphy ran a distant third. The outcome of the Republican primary appears less geographically defined. An approximately equal share of votes were cast in the Twin Cities and the rest of the state, and in both regions, Johnson scored a slight majority while Pawlenty's vote share lagged in the low 40s. Johnson performed slightly better in the northern part of the state, but no region forms a clear base of support for either candidate. Notably, Pawlenty did perform very well in southern Minnesota cities, like Red Wing and Rochester. 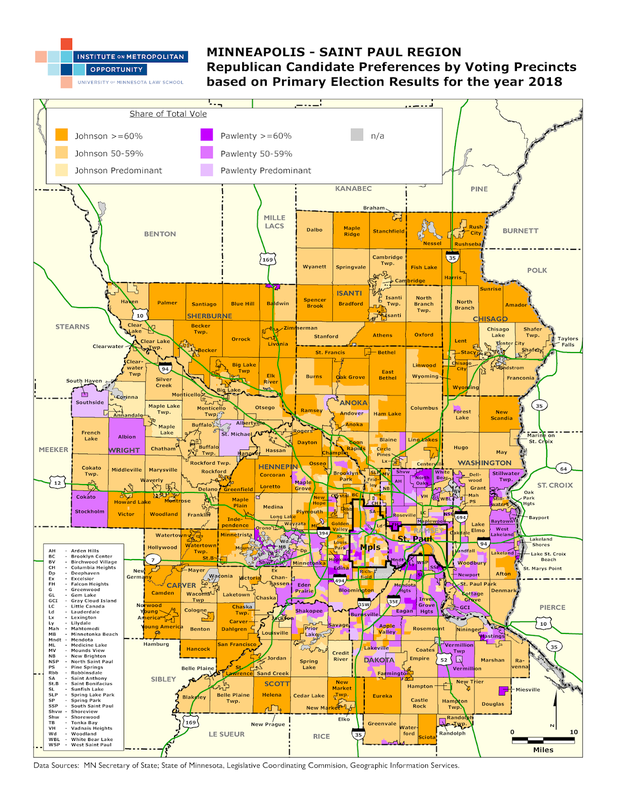 Within the Twin Cities region, Pawlenty had a relatively good showing in the central cities and many first- and second-ring suburbs, while Johnson won exurban areas. The notable exception to this pattern is Johnson's strong showing in the northwestern suburbs surrounding Maple Grove and Plymouth. 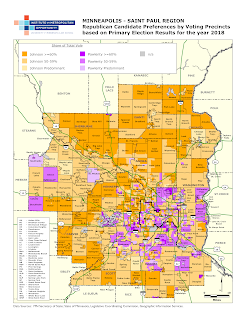 This area corresponds neatly with his current Hennepin County commissioner district. Last week, I wrote about recent research on racial disparities in school discipline. In a continuation of that post, I wanted to write about how themes from the research - unconscious bias, for example - affect real students/families in very real ways, as seen in a few recent stories. As mentioned in part 1, these stories have been overshadowed by other news. But they are too important to go unnoticed. One covers an extrajudicial student discipline system that I had never heard of. The other is a recent version of a story that we hear all the time. 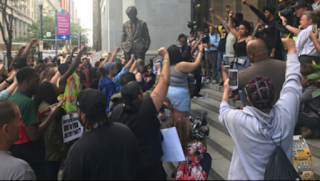 Among several disturbing similarities, in both stories, Black and Latinx students are denied due process in ways that are deeply morally troubling. One of the plaintiffs, Andrew, was using an orange for a hacky-sack game with his friends at school when the orange bounced through the legs of a school resource officer. Andrew was handcuffed and taken to the principal’s office where they searched his backpack and found marijuana. Andrew was then given this option: sign a contract to be part of the YAT or go to juvenile court. No lawyer was present. He signed the contract. What happens then? YAT contracts give law enforcement officials basically unrestricted access to student information, including school records and counseling reports. The contracts require regular drug tests and meetings with probation officers, over and above what a court would likely recommend given the infraction. Probation officers could even visit student homes, and one officer was even quoted saying “We can do all kinds of surveillance, including wire taps on phones, without having to get permission from a judge.” That’s a real quote. The lawsuit (full text) is asking that the court prohibit the use of the YAT system under situations of coercion and without students fully understanding their legal rights. I’ll track any updates. 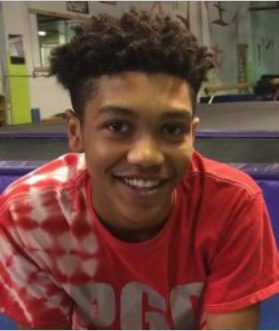 Then, there’s the story of Antwon Rose, a 17 year-old Black teenager who was recently shot and killed while running away, unarmed, from a police officer. There have been big protests about this in East Pittsburgh, but I’m not sure it’s gotten nearly enough attention in national news. The story itself is far too big to summarize in this post, but the links here have a lot of background. There is severe disregard for this issue at the federal level and things have been getting worse. ProPublica recently reported that more than 1,200 civil rights probes from the Obama administration have been shut down by Betsy DeVos. Many of these deal with school discipline issues. Ken Marcus was recently confirmed as the Assistant Secretary for Civil Rights under DeVos. As you can see in this letter from civil rights groups, things are unlikely to improve under his leadership. So what can be done? ProPublica is, in part, stepping into the void left by the DOE - you can use this “share your story” website to let them know about civil rights violations at a school. They may follow up with investigative journalism, in place of actual investigation from law enforcement arms of the federal government. And the power of attention and communication can't be ignored. Amidst the maelstrom of terrible news, it’s important to stay on top of the big stories that don’t get big coverage, to talk about these with friends, to get people fired up about it, so that we can make progress in the small places where that is possible and, hopefully, open up spaces for more progress in the future.